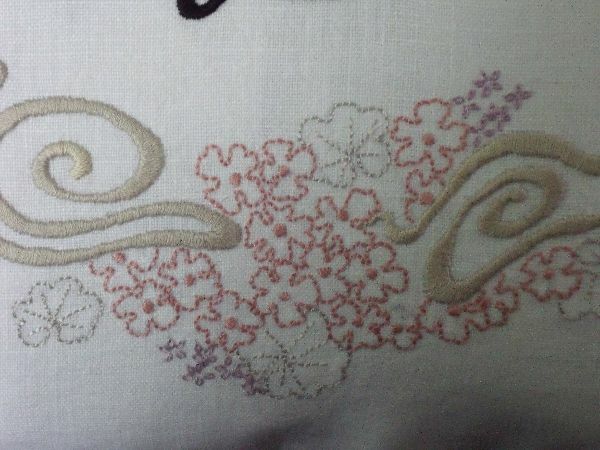 This is a very short post to show photos of 2 cushions I have just finished making. They were meant to go to Spain for a wedding at the weekend but weren’t finished in time to be taken last Sunday. However, as the couple live in England, I’m not sure that embroidered linen cushions would make the journey to Madrid and back by plane without suffering from severe creasing. 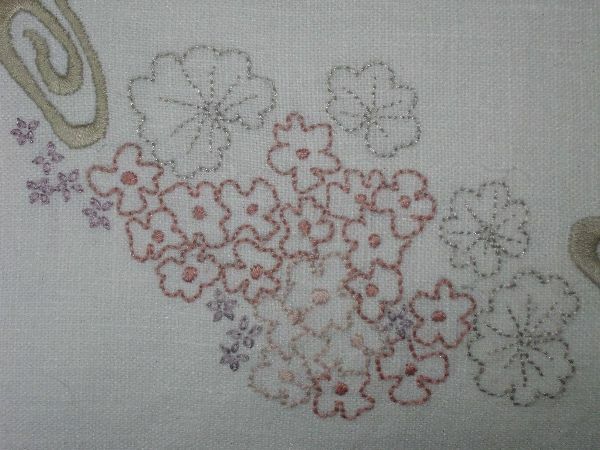 The cushions are pure linen and are embroidered in embroidery cotton and, in the case of ‘J’, the small flowers are in buttonhole silk. Envelope fastening at the back with 3 mother-of-pearl buttons (diameter 2.2cm). The inner cushion pad is 45 cm square and filled with duck feathers. 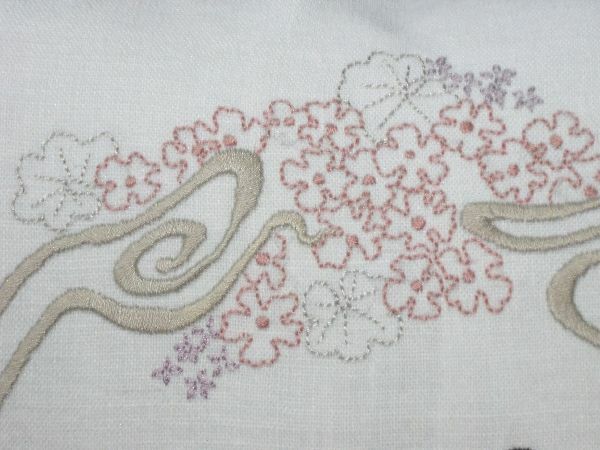 The cover is 2cm smaller in both dimensions than the cushion pad in oder to fill it out plumply. 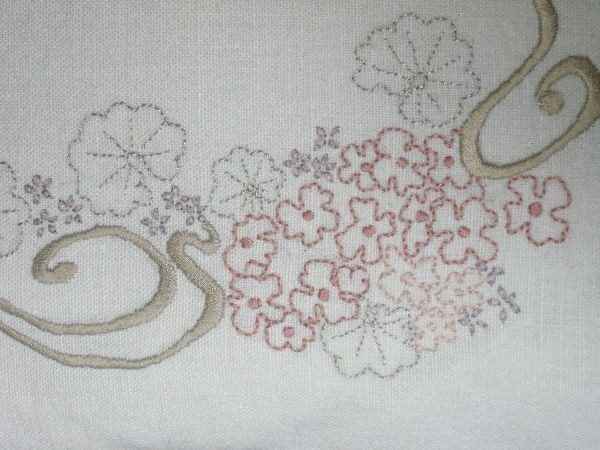 When I sketched out the design for ‘J’ I had hydrangeas in mind but it was only later that I realised the leaves were more like geraniums. 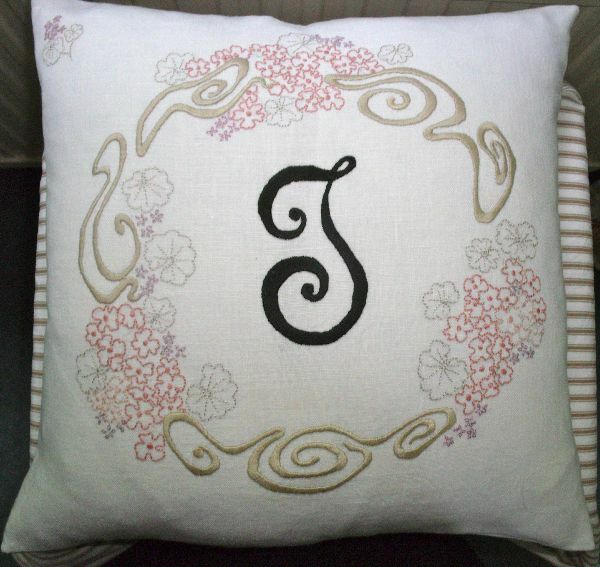 Originally all the swirly curlicues on the ‘J’ cushion were in black but when I’d finished I could see it was too heavy and overpowering. So, all the black was unpicked and this mushroom shade satisfied me much more. It’s a salutary lesson that you can never really tell the effect in advance. I suppose I could have made a watercolour sketch but I’m a bit too impatient for that….. So, Congratulations Julia and Giulio and I do hope you like them. 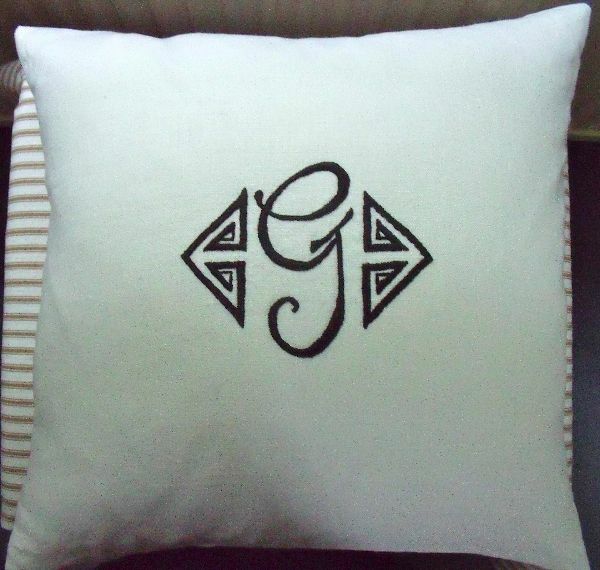 This entry was posted in Cushions, Embroidered initials, Wedding Embroidery and tagged Cushions, Embroidered initials, Wedding Embroidery. Bookmark the permalink. Post a comment or leave a trackback: Trackback URL.